UPDATE: The UFC 236 weigh-in results are ongoing, but all competitors in both interim title bouts have made weight. That makes Max Holloway vs. Dustin Poirier and Kelvin Gastelum vs. Israel Adesanya official. UPDATE #2: Everyone on the UFC 236 card has made weight. The UFC 236 weigh-in results are coming at you live today (April 12). Tomorrow night, UFC 236 will take place inside the State Farm Arena in Atlanta, Georgia. It’ll be first ESPN+ exclusive UFC pay-per-view. 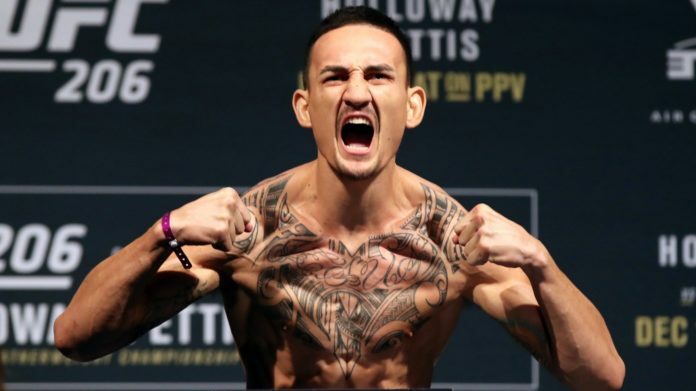 Headlining the card will be an interim lightweight title clash between featherweight champion Max Holloway and Dustin Poirier. The co-main event will also see an interim title bout. Kelvin Gastelum and Israel Adesanya will collide for the interim UFC middleweight championship. MMA News will provide live coverage of UFC 236 from the prelims to the main event. We’ll have you covered with live results, highlights, and post-fight tidbits. The weigh-ins will begin at 9 a.m. ET. You can peep the live weigh-in results below. Keep refreshing this page for the latest updated results. We’ll also be providing a live stream below once the weigh-ins get underway.